"Two are better than one, because they have a good reward for their toil. The Friendship Group meets regularly for social activities. 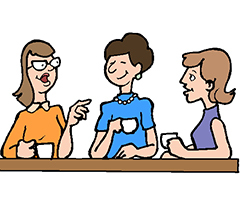 Meeting the second Thursday of each month at 9.00 AM in the Parish Hospitality area. Details are notified in the Parish Newsletter.